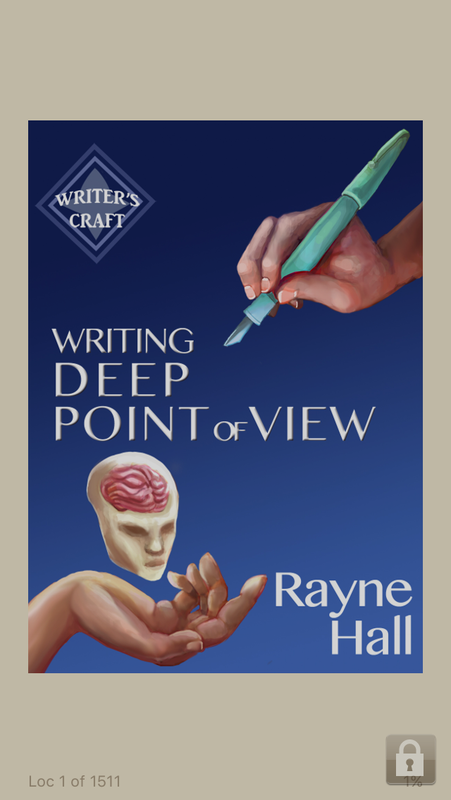 Point of view is one technique that many beginning writers struggle with. 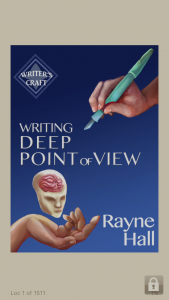 Writing Deep Point of View by Rayne Hall is number 13 of a series of 16 Writer’s Craft books. This one explains the appeal of deep POV to the writer and to the reader, and guides you through strategies to hook the reader and pull them into the story and into the narrator’s mind. Twenty chapters take you through topics such as the sensory experience, trigger and response, male and female POV, switching POV, and cover topics such as how to get across what other characters feel and what’s going on elsewhere in the world. The book is available in both kindle and paperback formats, although the kindle version offers much better value for money. I found it very useful as a reminder of the purpose and techniques of deep point of view, and it covers the topic in suitable depth, with plenty of examples. As a bonus, two complete short stories by the author illustrate the strength and flexibility of deep point of view in getting to the heart of a story and in twisting traditional stories. Each book in the Writer’s Craft series covers one aspect of writing in great detail, and together they serve as handy, useful guides. This entry was posted in Writing book reviews and tagged editing, point of view, resources, techniques, writing on January 26, 2016 by Lin White.